gallamore west: Coffee & Cupcakes Moms Night In with Coffee-mate! Coffee & Cupcakes Moms Night In with Coffee-mate! There are few things I love more in my life than a good hot cup of coffee, spending quality time with great friends, and our country. 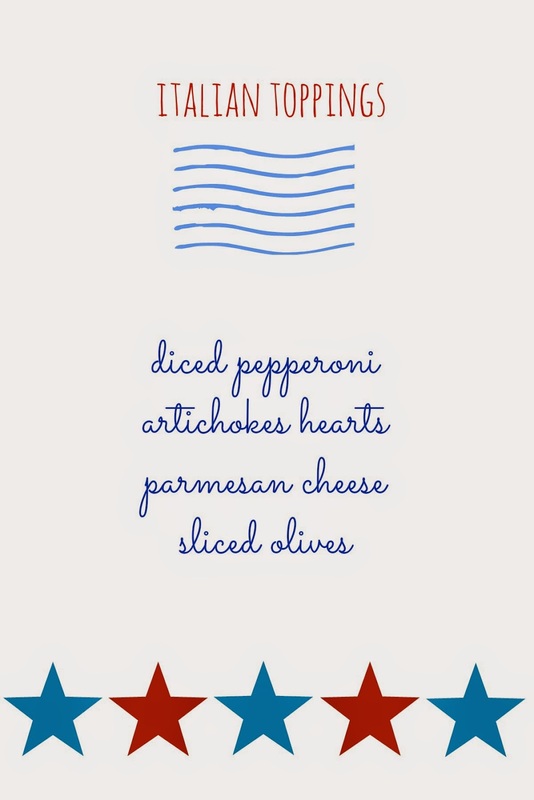 To merge all three of those things together, I invited over a super fun group of mom friends last Friday night for a Coffee & Cupcakes Moms Night In with Coffee-mate to honor two of the moms in our group of friends who are military veterans. 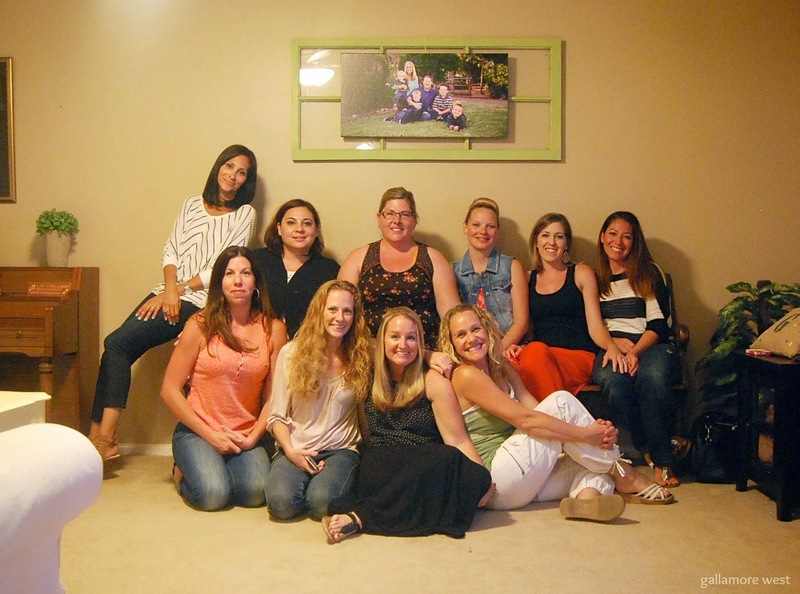 This group of friends is so special to me because most of us met when our kids began the pilot year of a new Spanish Immersion program at our local elementary school. Our kids are now finishing up their 2nd successful year in the program and getting ready to head onto 2nd grade. I think we formed a special bond because it was a bit scary at first to put our precious kids into a program that was brand new and commit to it for their elementary school education. As parents we have experienced the same worries and fears, but more importantly successes and amazement at how well our kids are performing in a 2nd language program that was brand new at our school just last year. Two of these moms, Veronica (upper right corner) and Venessa (back row wearing the denim vest) are military veterans. I'm in awe of the sacrifices that military members make for our country, and especially in awe of these moms because they have such strength and such amazing experiences because of their selfless service to our country. It truly means more than I can put into words to know that these moms have given their time and talents to selflessly give to our country that I love so much and am so grateful to be a citizen of. I told all of the girls about how Coffee-Mate is giving back to an amazing organization called Operation Homefront that offers a wide range of support to wounded veterans and military families. I also gave Veronica and Venessa a little gift basket with coffee, cupcake liners, and sweets so they can have a mini coffee & cupcakes party at home with their kids. 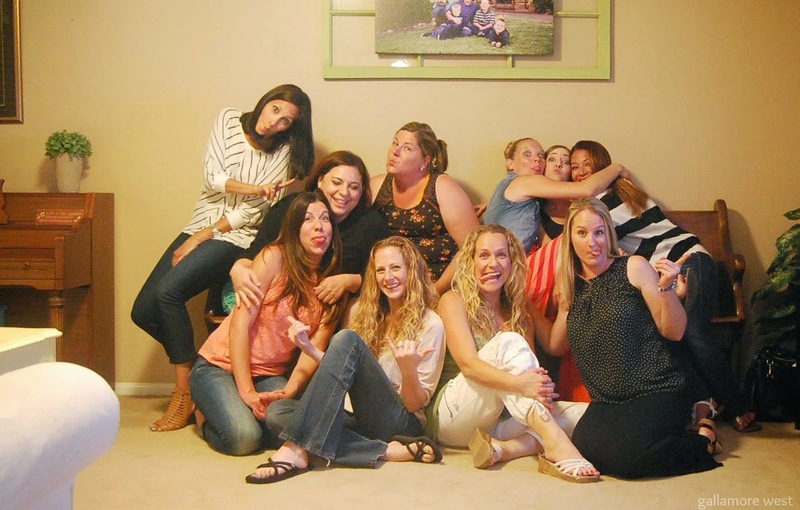 Oh, and sometimes Moms let loose and get a little bit silly too. Because of my love for coffee, good friends, and all things patriotic when I saw the Coffee-mate creamers at Wal-Mart right now I had to have them. They come in French Vanilla and Hazelnut (both liquid and powder) and they were perfect not only to serve at my party, but they also fit right in with my patriotic decorations. 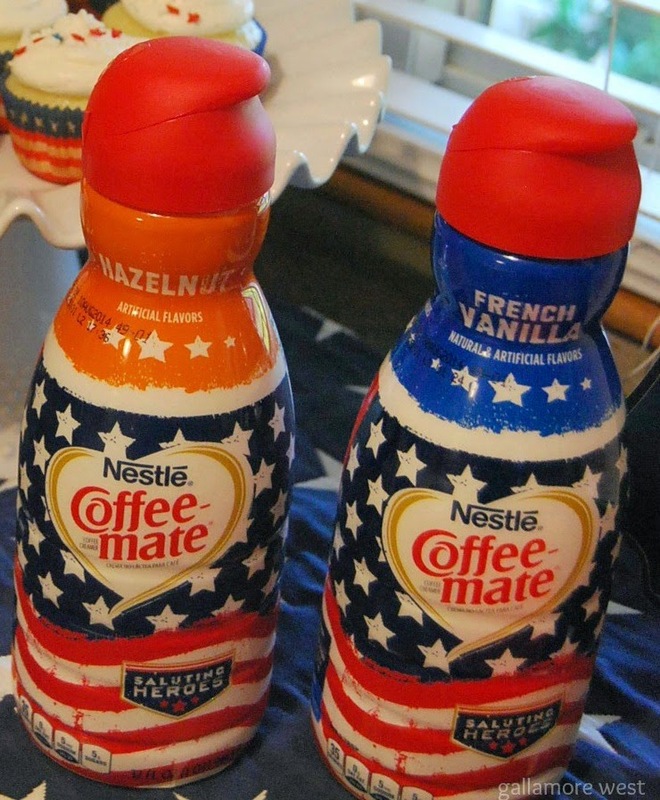 These limited edition Coffee-mate creamers are available only at Wal-Mart from Memorial Day until Independence Day, while supplies last, so hurry and get yours too! Aren't they so fun? 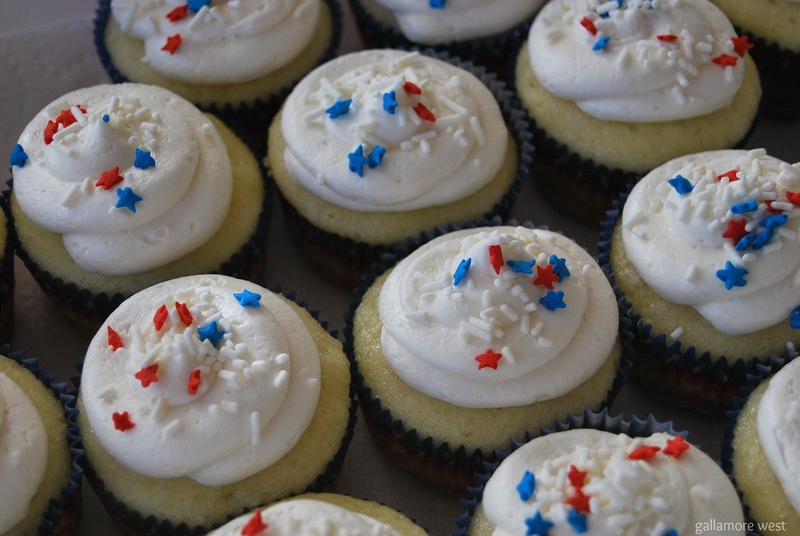 But more than just cute and fun, the coffee creamer actually stole the show in my patriotic cupcakes because I made French Vanilla buttercream frosting that was to die for using the French Vanilla Coffee-Mate creamer. You can find my recipe further down in this post. Pin it for sure- it is delicious! 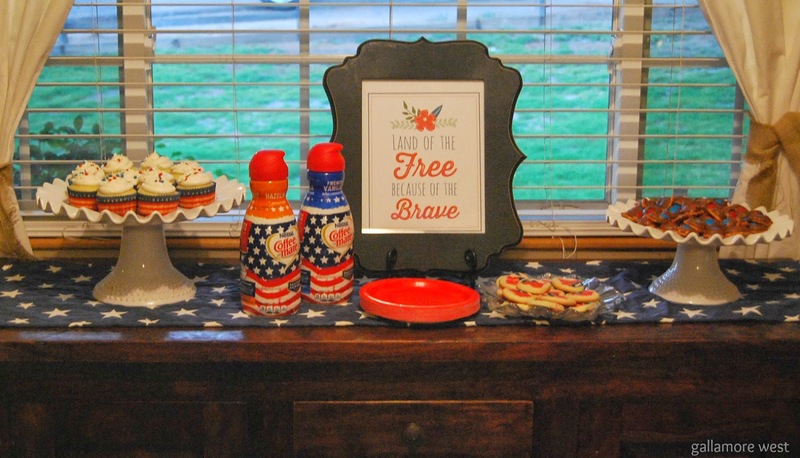 The "Land of the Free Because of the Brave" is a free printable from Living Locurto. I recently went to a really fun Pinterest Party where our adorable hostess served Mashtini's for lunch. I loved the idea so much that I decided to serve dinner at our Coffee & Cupcakes Moms Night In, and we had mashtinis too! 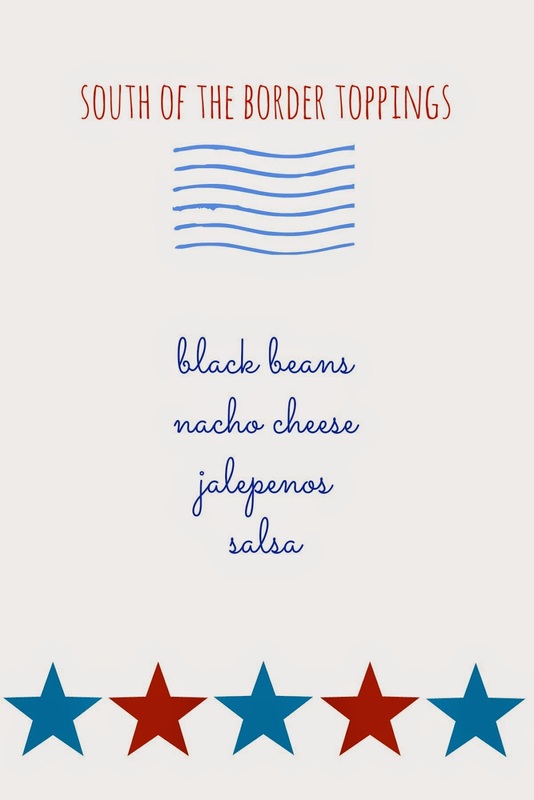 I chose to serve toppings from three different regions: South of the Border, Italy, and of course, the good ol' USA! 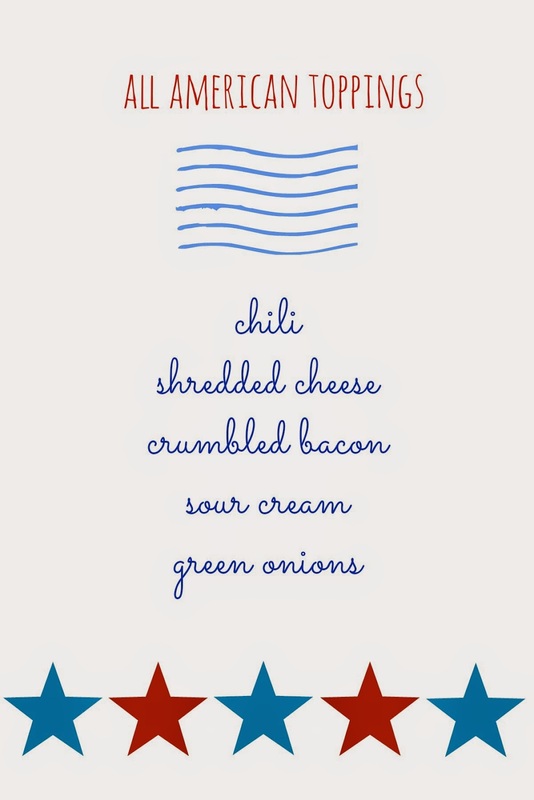 The mashtini's were a hit, and even the tortilla chips were red, white, and blue! We laughed, ate, drank coffee, ate cupcakes, and laughed lots more well into the wee hours of the night. These girls and I were the diehards who stayed up way past our bedtime! As promised earlier in this post, here's the recipe for the French Vanilla Buttercream Frosting using patriotic Coffee-mate creamer from Wal-Mart. It was amazing, and I can't wait to make it again using different flavors of Coffee-mate creamer. Blend butter in stand mixer until light and creamy, scraping down sides occasionally. Slowly add in powdered sugar, one cup at a time until thoroughly mixed. Add in vanilla extract, then add in Coffee-mate French Vanilla creamer (or any other flavor Coffee-mate creamer you would like!) one tablespoon at a time until your frosting reaches desired consistency. 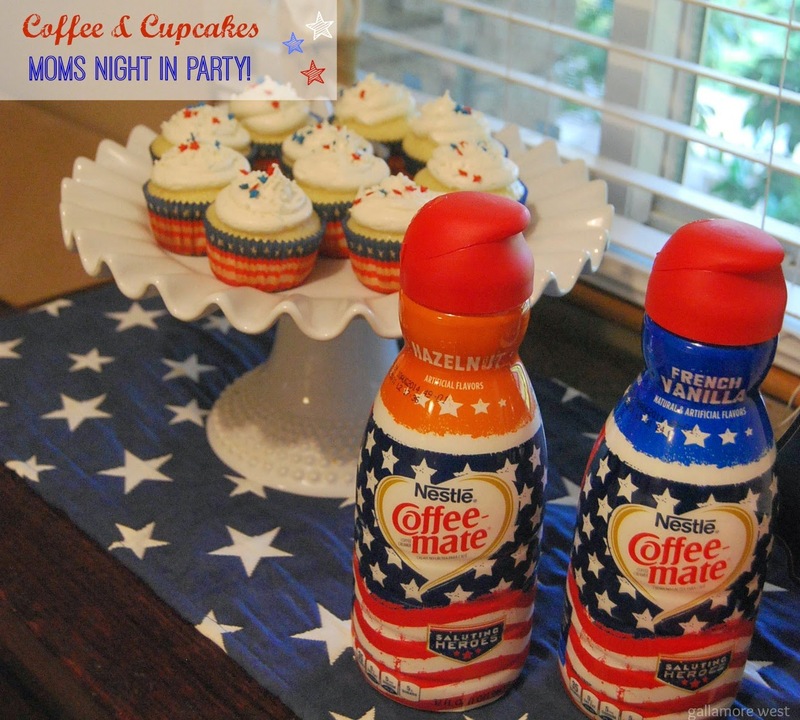 Thank you Coffee-mate for helping out our nations military families through Operation Homefront, and for our fun night honoring our military veteran mom friends at our Coffee & Cupcakes Moms Night In!